The success of Ontario’s SFH Strategy is a remarkable example of how health system research can be translated into real practice change at a system level. The strategy was underpinned by the RGPs of Ontario’s SFH Framework, which provided the foundation for environmental scans, the identification of clinical priorities, and the creation of SFH ACTION. The SFH ACTION collaborative was developed jointly with strategic provincial partners and an advisory panel which included patients and caregivers. The SFH collaborative has been supported through training, coaching, and skills development to grow into SFH implementation teams, each leading the advancement of senior friendly care at their organizations. By creating settings for meaningful in-person and virtual networking, we have enabled teams to learn and work together; sharing their knowledge, tools, and successes with one another. 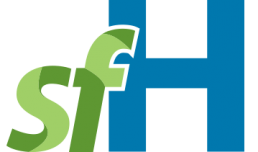 With the launch of the Senior Friendly Care (sfCare) Framework in October 2017, the SFH collaborative is now a part of the cross-sectoral sfCare network. SFH tools have been expanded to included cross-sectoral resources and are now included in sfCare tools.